From Goodreads.com: She’s crept back into the home she lost. He’s crept into her heart. 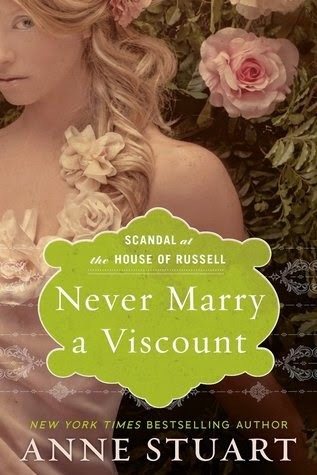 The final sensuous book in the Scandal at the House of Russell trilogy will lay the truth bare. My Review: This novel was the first that I have read by this author. And unfortunately, for this author's works set in this time period.. it will be the last. I wish I could say it was because I was reading book #3 in a series, and it didn't make sense, but alas, that is not the case. As the third in a series, the book made perfect sense. You didn't miss out on any details, you understood the history well enough, and to be honest, the book was well written. My problem comes in the fact that this is supposed to be a "historical romance", and yet, I found it to be too vulgar to accurately fit into that time period. To start with Alexander not only wishes one of his visitors "would shut the f*ck up", he uses that word again and again to describe his desires for the things he wants to do to Sophie. Now I have read many a novel where the main hero (in this case Alexander) has gotten more than he had bargained for, but even in those, when referring to "loose women" that word didn't come up near as often. Now I'm not against that kind of language at all, but to me, it does not "flow" well with a historical novel. Other than that, I really enjoyed this novel. The banter between the characters was great, and even though I found the "build up" to be a bit slower than other novels (as far as the overall plot, not the relationship between the characters), the way everything was tied together in the end, not only made perfect sense, but made me glad that I read this one until the end.